The pazo of Mos/Photograph by Xoán Carlos Gil The council of Mos is situated directly at the crossroads of Caminos between Vigo and the industrial area of O Porriño. 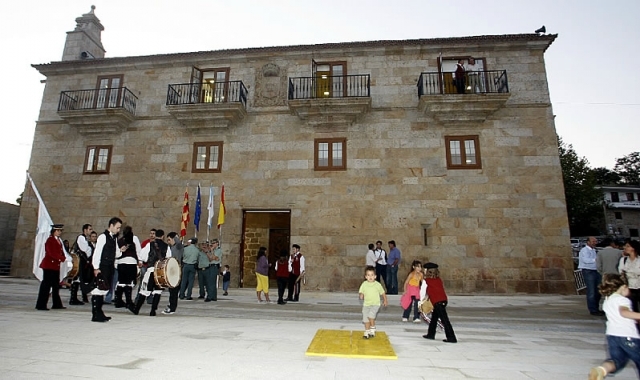 The council of Mos is situated directly at the crossroads of Caminos between Vigo and the industrial area of O Porriño. It has more than 15,000 inhabitants and consequently has a multitude of services to offer walkers. Pilgrims should bear in mind that after leaving the urban area that connects O Porriño and Mos that they will not find another area with services until reaching Redondela. The municipality is abundant in archaeological remains. If you are traveling on the Camino de Santiago or are planning to do so soon, you should know that the distance separating Mos from Santiago de Compostela is 95 kilometers.